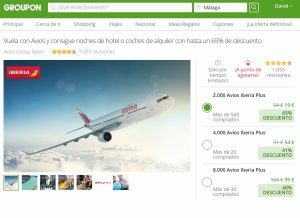 The regular Groupon Spain – offer allowing you to buy 2,000 Avios points for just 19 EUR – less than 17 GBP – seems to be back on. EDIT: URL updated with latest offer. This is the direct link to the offer, however if you go through the Avios.com estore, or the Iberiaplus estore, you should hopefully get some more avios. 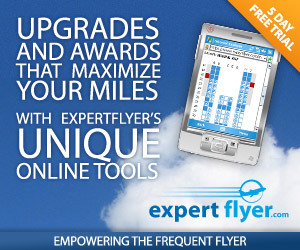 only the 2000 Avios package offers stand out value. The others involve paying a price I would not pay myself for Avios, and you are limited to 1 x 2k Avios package. I’m a buyer of Avios at any price under about 0.9p currently, as I usually manage to redeem for 1.1p value minimum – and usually well above. As you might gather by the offer URL, this is the 7th, 9th, 15th time this offer has run (if not more), I’ve bought about 12 times without issue – but note the 2k packages do sell out fast (that is the only reason why I’ve not bought every time). If you have not bought from Groupon Spain before, you can also use my refer-a-friend link if you wish.